I would point out that the EITC and the minimum wage have different weak points--too high a minimum wage will have a substantial disemployment effect, and too high an EITC does create incentives to pad your hours. A mixed strategy helps attenuate both these flaws. Leading Economists Vote on Raising the Minimum Wage: I'm delighted to see the U Chicago IGM Forum ask a really useful, non-softball question. The panelists are evenly split on whether an increase to $9 would make it "noticeably harder for low-skilled workers to find employment." A 4:1 majority thinks that weighing the costs and benefits, "this would be a desirable policy." Second — and this is news to me — the usual notion that minimum wages and the Earned Income Tax Credit are competing ways to help low-wage workers is wrong. On the contrary, raising the minimum wage is a way to make the EITC work better, ensuring that its benefits go to workers rather than getting shared with employers. 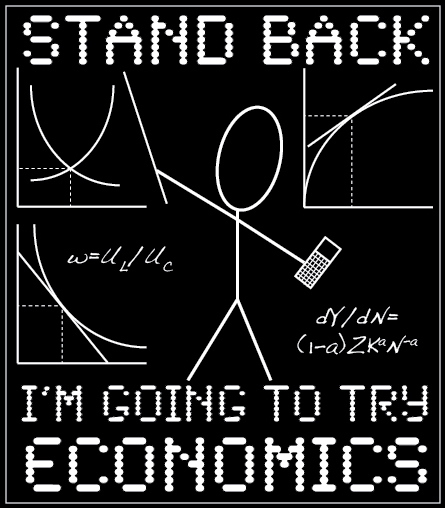 This actually is Econ 101, but done right. Unemployment among low-skilled workers is already high by historic standards, indicating that wages are already too high for market-clearing. There would surely be some [disemployment] effect, but "noticeably" seems a reach. Yes, I know the Econ 101 answer but the evidence suggests the effect on employment is between small and 0. All methods of helping the poor cause distortions. This one not bad. Minimum Wage Economics: what should you know? First, as John Schmitt (pdf) documents at length, there just isn't any evidence that raising the minimum wage near current levels would reduce employment. And this is a really solid result, because there have been a lot of studies. We can argue about exactly why the simple Econ 101 story doesn't seem to work, but it clearly doesn't — which means that the supposed cost in terms of employment from seeking to raise low-wage workers' earnings is a myth. So a minimum wage increase isn't some kind of counsel-of-despair way to help workers a bit in a dysfunctional political scene (although there's that too); it's actually good policy. We have different polices designed for different distributional goals. We need to think not in terms of a single policy, but instead think in terms of what is the right portfolio of policies given the range of objectives you have. The minimum wage is an excellent tool to boost the efficacy of government transfers, and it should be raised and tied to a cost of living raise. There's no magic bullet - there's just a variety of tools that reinforce each other. Conscience Warrior has a new reader in the person of Alan Harvey, chief cook and bottlewasher over at Demand Side Economics. He very generously mentioned us in the most recent episode of his podcast. While I don't subscribe to every last detail of his views, I think we are in broad agreement on the way in which the world works, and as to what the best solutions are to the problems we face. 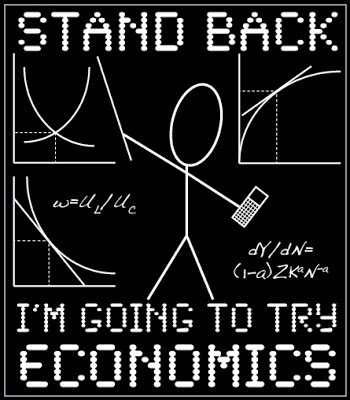 He published Demand Side: The Book last year, which compiles the ideas of some of the great minds of economics past and present into a sort of field guide to modern markets and the macroeconomy. Mr Harvey also maintains the excellent forecasting site re: Macro Baseline. ...a funny thing happened in 1996. John Paul II issued Universi Dominici Gregis, a document revising the two-thirds requirement. In filibuster parlance, he went nuclear. "It just occurred to me that it must have cost a fortune to get Richard III out of the lot after all this time. At £1.60 for the first half-hour and £1.10 for each additional half hour, it was probably enough to fund national health and the BBC forever."